San Mateo, California – November 7, 2016 – Three unmanned aerial vehicle (UAV) products from PowerVision‘s family – PowerEgg™, PowerEye™, and PowerBee™ were announced to be the winners of “China Good Design (CGD)” – an international design award, organized by Red Dot, tailored to the Chinese market. PowerEgg’s sleek and innovative design addresses user demand for easy drone portability with its pack-and-go features. Fully collapsible design allows users to carry it in a backpack without damaging propellers and camera. Meanwhile, PowerEgg takes the consumer drone market to the next level with the industry’s first gesture recognition remote control – PowerEgg Maestro™. It makes PowerEgg become the world’s most intuitive drone designed for both enthusiasts and first time drone owners. With PowerEgg Maestro, takeoff, landing, Follow Me, and Orbital Flight can be done with the push of a button so that anyone can fly PowerEgg right out of the box. PowerEgg is available worldwide in white and priced at $1,288 USD MSRP through the PowerVision’s online store (https://store.powervision.me). PowerEye, announced for global pre-order in September 2016, is crafted for professional cinematogrphers. It sets a new standard for video quality and control, special effects and professional cinematography capabilities. The new features – Dual Viewing – gives users the ability to see video simultaneously from a First Person View (FPV) and a Subject Matter View (SMV). With Dual Viewing, a cinematographer has the ability to see what is in front of the PowerEye while in flight through a dedicated FPV camera housed in the nose of the aircraft and a separate gimbal-mounted camera can be simultaneously directed to action on the ground or other areas in the sky. PowerEye also offers an optional upgrade of Thermal / Natural Light Switchable Camera. Through the mobile app, users can switch between the thermal and the natural light setting with one touch. Using the Thermal / Natural Light Switchable Camera, cinematographers can capture a spectrum of light not visible to the unaided eye. 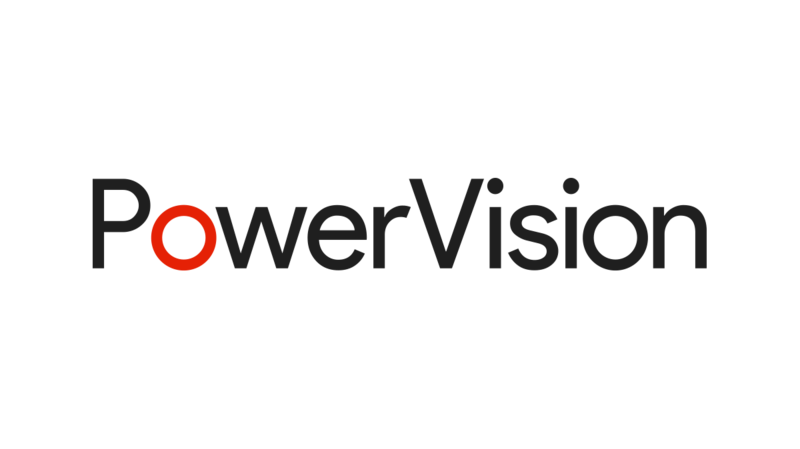 PowerEye is available for global pre-order at PowerVision’s online store (https://store.powervision.me). PowerBee is a drone swarm, developed solely by PowerVision, to be used in diverse commercial performances. PowerVision’s patented algorithm allows one pilot to position and navigate over 100 drones simultaneously. The patented algorithm ensures the deviation in positioning will be less than 3 inches. Based on a designed algorithm at a given show, each drone can be autonomously fly to a precise position and the LED lights under each drone can blink at any desired time. PowerBee offers a new environmental-friendly solution to comercial shows. Winning the “China Good Design” Awards is just a beginning for PowerVision. PowerVision is dedicated to continuously offering more innovative, useful, and aesthetic products, to proactively meet consumers’ needs and set new standards leading the market forward. PowerVision Technology Group is a worldwide leader in UAV technologies, products, and services with a corporate mission to innovate the future. PowerVision’s lineup ranges from smart drones and robots, data visualization and forecasting, and virtual reality. Founded in 2009, PowerVision Technology Group comprises nearly 500 employees in China, the U.S., Canada, Australia, Germany, and Finland. PowerVision Robot Corporation, based in San Mateo, Calif., is the U.S. subsidiary of PowerVision Technology Group. To learn more about PowerVision Technology Group or PowerVision Robot Corporation, please visit www.powervision.me. You may also connect with PowerVision Robot Corporation on Facebook (www.facebook.com/powervisionme/) and YouTube (www.youtube.com/c/PowerVisionRobot).